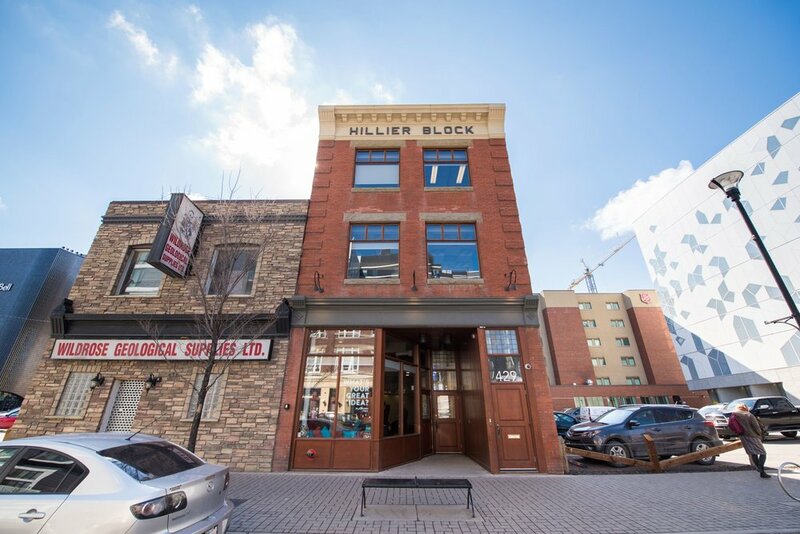 Platform Calgary, our newest EV neighbour, has moved into the historic Hillier Block, where they're working to make our city a global hub for startups and innovation. Join them for Coffee Hour to learn about all the cool things they're up to, like EV's future 9th Ave Parkade & Innovation Centre! Stop into RiverWalk Dental to learn how you can improve your smile while enjoying complimentary food and wine! Have you been following the progress of M2's construction along RiverWalk? Want to hear from one of the architects behind the building's design? Join XYC Design + Development for their lecture at Studio Bell on April 17th. Join the Calgary Public Library CEO on April 18th as he sits down with artist, educator, and philanthropist Linda Shaikh to discuss the John Dewey classic, "Experience and Education." Plant your own succulent with Raw Canvas at this DIY workshop. The price of the class includes a container, dirt, moss, one succulent, a few garnishes, plus tips and tricks for assembling your plant. Additional decorative materials will be available for purchase. Feel free to arrive early for food and drink! Calgary-by-way-of-Jamaica rapper-producer Jae Sterling was raised on a healthy dose of jazz, reggae, and golden-era hip hop, and those influences continue to permeate his music. Sterling's time in residence will be followed by a hip hop workshop for youth at Studio Bell.